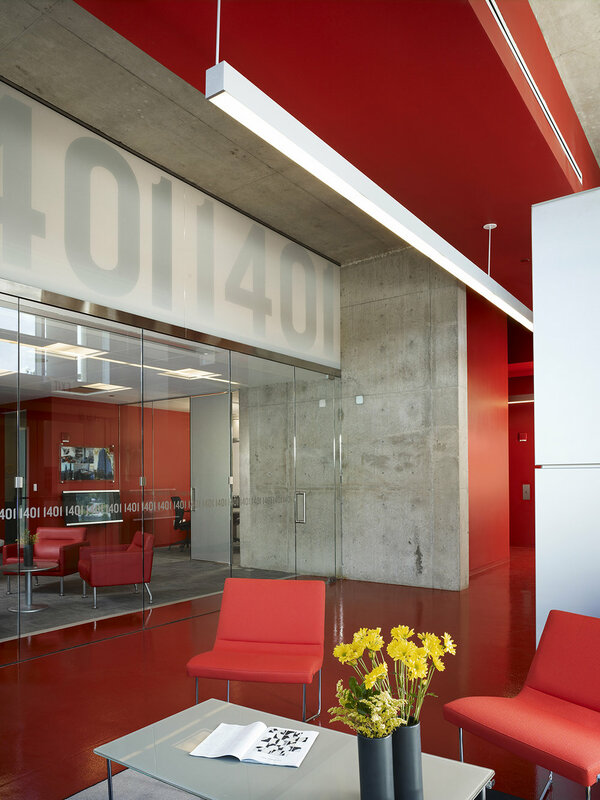 1401 South State — Valerio Dewalt Train Associates, Inc. The South Loop is one of Chicago’s hottest residential markets. Over the past few years, most new development in the city has been low to mid-rise condominiums. Anticipating the upward pressure on interest rates and the related need for affordable rentals in the area, the client completed construction on this 278-unit rental property combining one- and two-bedroom loft style apartments, ground-floor retail, a rooftop garden and structured parking. 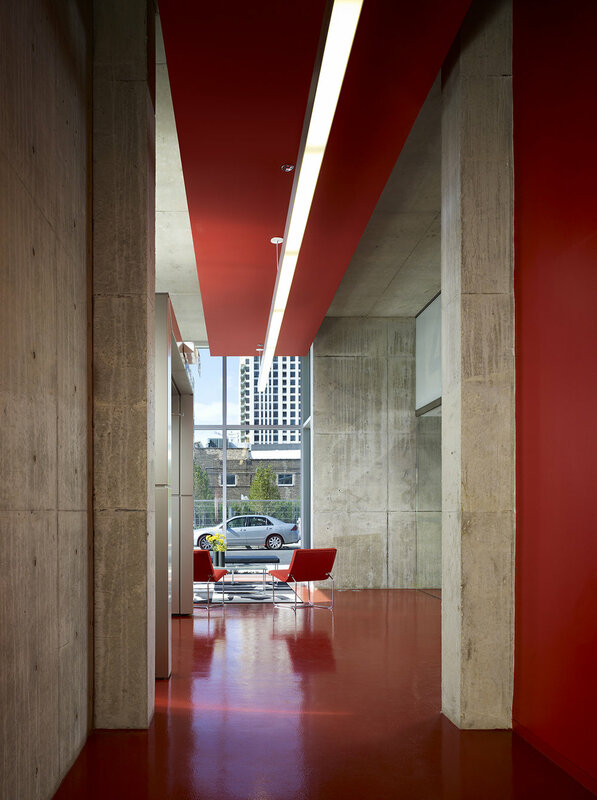 Raw materials with simple details, inexpensive, but durable, systems and a planning approach steeped in the fundamentals are among the design strategies employed. 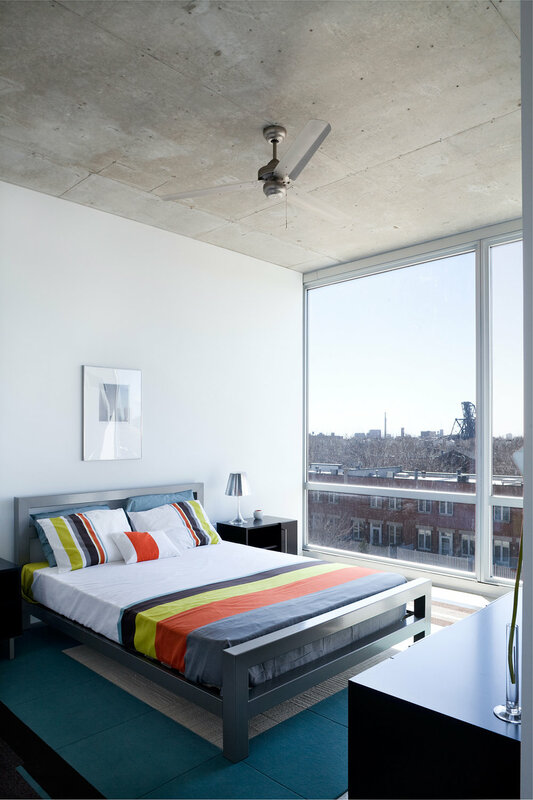 The use of bold colors and forms is intended to appeal to a creative and open-minded tenant with a fresh outlook on urban living.